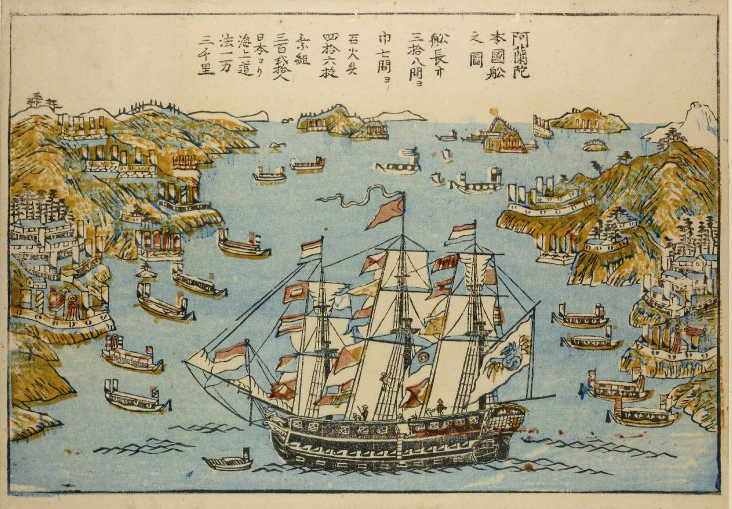 In the spring of 1848, a Dutch trading ship dropped anchor in Nagasaki bay. In its hold was a Gutenberg printing press. In a few short years, this press - and others like it - would all but destroy Japan's centuries-old woodblock printing industry. For hundreds of years, woodblock printing dominated Japanese visual culture. In the blink of an eye, the printing press changed the craft of printing into a commodity. That Gutenberg press being unloaded in Nagasaki was the beginning of the end for the printing workshops. The internet has created unprecedented demand in todays creative industry. Just as the printing press met demand in 19th century Japan, so low-cost outsourcing sites like Fiverr, Upwork, et al. are fulfilling the boom in demand for creative services. The quality of low-cost services can't compare to a bespoke piece of work. But for many people, the results are good enough. How then, as professional creatives, do we avoid going the way of the printing workshops? The traditional woodblock printing process involves four people; a publisher, a designer, a carver, and a printer. A publisher commissions a designer to produce an image. The carver takes that image, carves it into a series of wooden blocks, then passes those blocks to the printer. The printer then starts churning out copies by hand. Hokusai's Great Wave off Kanagawa is an example you may know, but everything from high art to food wrappers used this same process. Japanese woodblock prints are sublime. As physical objects, a printing press can't come close to reproducing their complexity. The flip side is that complex prints can take weeks to produce. A printing press is many times quicker and cheaper than a woodblock printer, and more than adequate for throwaway items. What can't a printing press do? The workshops who survived changed strategy. Elite craftsmen pushed themselves further. Competing on price was pointless, so they focused on producing work which printing presses could never replicate. By focusing on quality, the successful workshops set themselves apart from the noise of mechanically printed items flooding the market. They lost the clients who wanted food wrappers printed on the cheap, but gained clients who valued true craftsmanship. With enough demand, any craft can become a commodity. Take a lesson from the Japanese printing workshops; focus on quality, and rise above the noise.